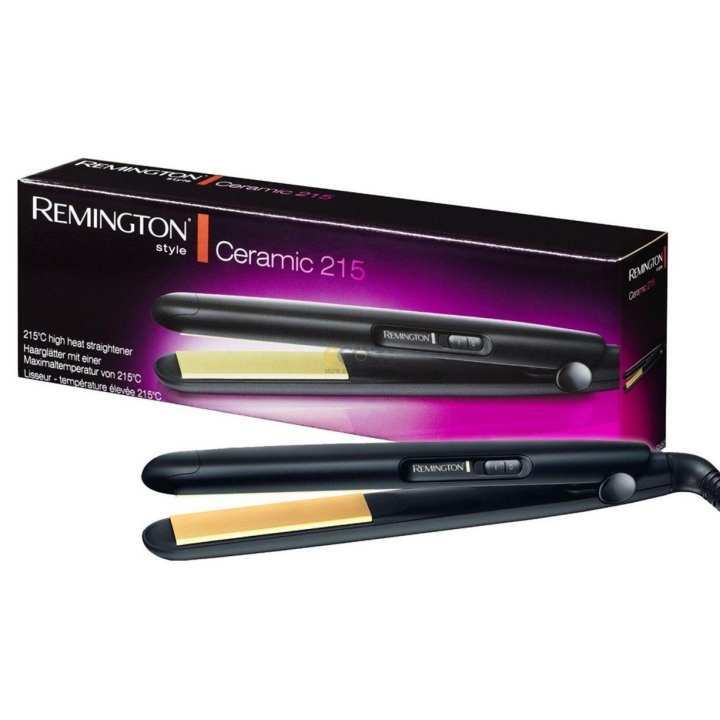 The Remington S1450 Ceramic 215 straightener has Ceramic coated plates delivering sleek and smooth hair with every effortless stroke. And it’s fast-working, reaching a top heat of 215ºC in just 30 seconds, helping you to achieve silky, shiny hair without having to wait around. What’s more, the innovative floating plates cushion your hair whilst straightening leaving it perfectly smooth and indent free. The Ceramic 215 has worldwide voltage, so there's no need to skimp on your style routine wherever you are in the world. It also boasts a 1.8m swivel cord for maneuverability and longer reach and comes with a three year guarantee.